The Perth Arena by ARM Architecture & Cameron Chisholm Nicol – Joint Venture Architects has won the George Temple Poole Award, the highest overall honour at the Australian Institute of Architects’ WA Architecture Awards. The Awards honour excellence in the design and construction industry and were held at one of the state’s grandest examples of modernist architecture, the Perth Concert Hall. The George Temple Poole Award is presented each year to the project judged most worthy of all the award winners in each category. 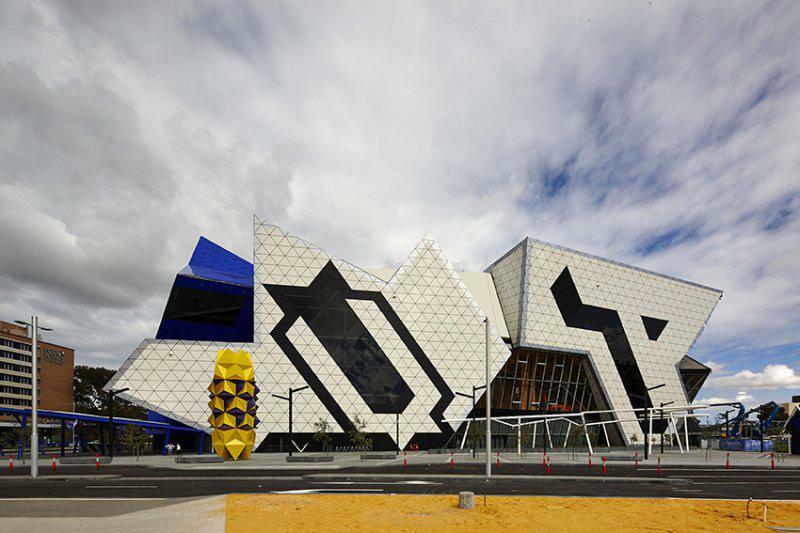 The jury viewed an impressive array of outstanding architecture in determining this year’s award, but ultimately Perth Arena took out the esteemed prize. 'Visually the Perth Arena is a building that delivers an aesthetic unlike anything previously existing in Western Australia and regardless of whether it is revered or reviled it generates enormous interest and stands as an outstanding example of what architects contribute to the built environment,' the jury noted in awarding the Perth Arena. The Perth Arena also took home the Jeffrey Howlett Award for Public Architecture, the COLORBOND® Award for Steel Architecture and an Architecture Award in the Interior Architecture category. Another major Perth development, Brookfield Place by HASSELL and Fitzpatrick + Partners, also featured prominently in the Awards, taking out the Margaret Pitt Morison Award for Heritage, the John Septimus Roe Award for Urban Design and the Ross Chisholm and Gil Nicol Award for Commercial Architecture. All Western Australian Named and Architecture Award winners will progress to the Australian Institute of Architects National Awards to be held in November.